This "Historically Speaking" column appeared in the Exeter News-Letter on Friday, ​​​April 26, 2013. In December of 1952, a group of young women, under the watchful eyes of the Exeter Women’s Club, gathered in the Perry Room at Abbot Place to sign the charter for a junior branch of the club. The venerable Women’s Club had been active in town since the 1920s – this new organization was formed for and by the younger women of the town. Both groups were part of the General Federation of Women’s Clubs – a national organization formed in 1890 to unify the many women’s clubs that existed at that time. The Junior Women’s Club was open to all young women over the age of 21. 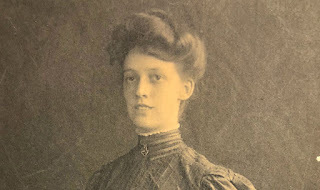 Most were mothers of young children and regardless of their work or age, referred to themselves as ‘the girls.’ Women’s Clubs, on the whole, were dedicated to social issues, particularly the social issues of children. The General Federation of Women’s Clubs had, in earlier times, passed resolutions opposing child labor and supporting a separate juvenile court system. The Exeter Junior Women’s Club quickly devoted itself to the children of the Rockingham School, which tended children with developmental and emotional delays. Members of the club trained and volunteered as teacher’s aides in the school. The club assisted many other organizations with activities that were often simple, but badly needed. In the 1960s, they became involved in the rising drug problem by holding an open meeting in support of Odyssey House. Later, they provided the cold drink concession for a seven week series on the problems of drug use. Members of the Junior Women’s Club served on the board of the Exeter Area Family Planning board. Since their formation in 1952, the group has assisted or supported the Rockingham County nursing home in Brentwood, the State Hospital in Concord, the Red Cross Blood Services and the March of Dimes. But the group doesn’t just devote itself to other non-profit groups, they are also devoted to community improvement. 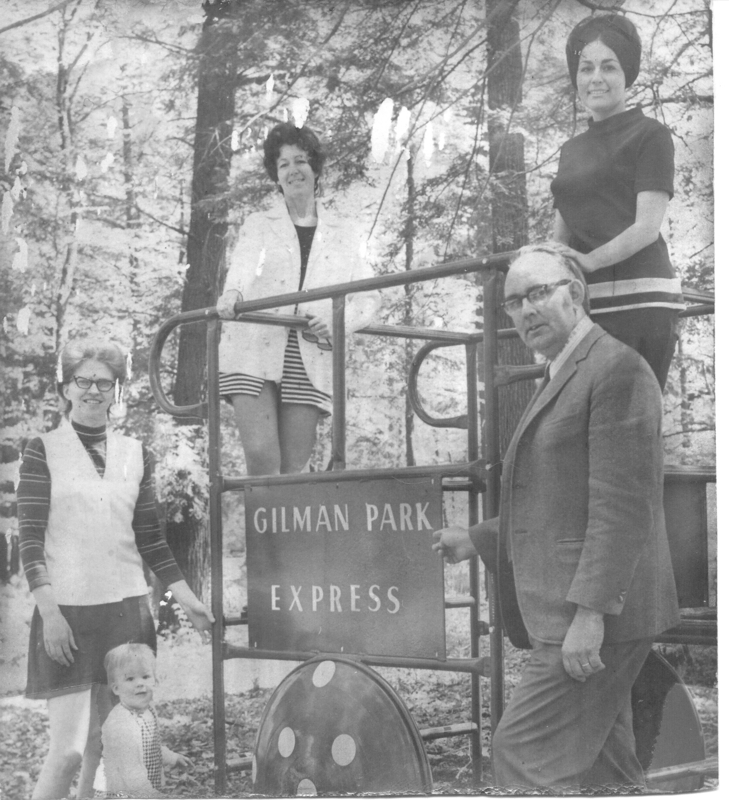 In 1963, the club decided to help revitalize Gilman Park on the Exeter River. “The first interest was to have a public swimming area in the park with the approval of the board of trustees,” wrote Ellie Reid in a 1971 article on the club, “the local Jaycees and other interested people helped to clear the area and cut brush. Enthusiasm was running high until it was decided to test the water. A report was sent back to the junior clubwomen from Concord that the water was contaminated and unsuitable for a public swimming area.” Disappointed, but undaunted, the club set about making the park picnic friendly even without swimming. Money was raised for playground equipment and fireplaces. 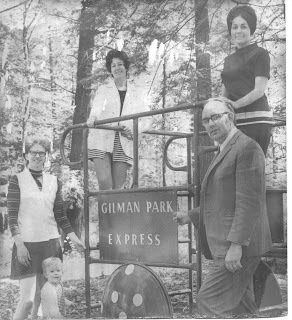 The creation of Exeter’s Parks and Recreation Department later took up the slack for recreational activities. The club is still active today, even if they no longer refer to themselves publicly as ‘the girls’ as they did in the past. Exeter’s original women’s club disbanded and the Junior Women now wear the mantle of the Exeter Area General Federation of Women’s Clubs (known as EAGFWC). The group spearheaded the Swasey Parkway pavilion project and annually sends girls to the “Expanding Your Horizons” Math and Science conference. Most local people encounter the Exeter Area GFWC twice a year at annual craft fairs. The Yuletide Craft Fair, held at the Cooperative Middle School, is a heavily anticipated event that draws vendors and visitors from the extended community. In recent years, the summer craft fair has built on that success. The 60th anniversary goal of the club is to restore the Exeter Senior Center. The Senior Center on Court Street, which is a hub for both Senior Citizen activities and a variety of community groups, also houses the Meals on Wheels program. 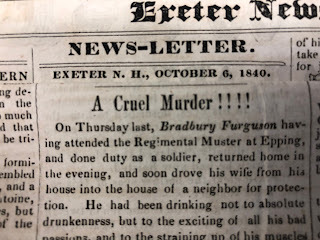 If the history of the Exeter Area GFWC is any example, they are sure to meet the goal. They are always happy to accept new members into the group, information can be found at the website: www.eagfwc.org.